Source: Yin-Shan Cheng-Yao (Proper and Essential things for the Emperor's Food and Drink. It supplements the center and increases ch’i. Mutton (leg; bone and cut up), tsaoko cardamoms (five), chickpeas (half a sheng; remove the skins). 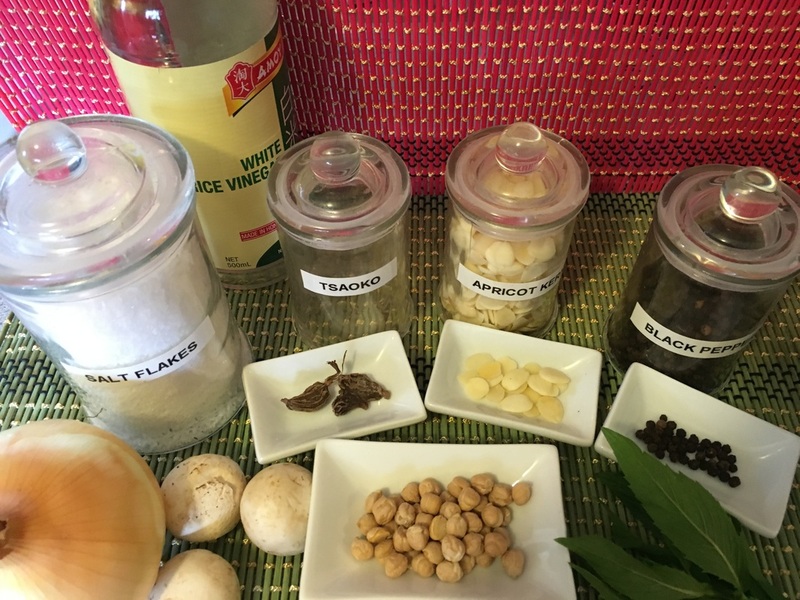 Boil ingredients together into a soup. Strain broth. Cook together two sheep’s heads (clean), two sets of each of sheep stomachs and lungs, one set of white blood, paired sheep intestines. When done cut up and add to soup. Then use three Chin of bean flour to make noodles, stuff with half a chin of moog [mushrooms], half a chin of apricot kernel paste, one linage of black pepper. Fry with mint and coriander leaves. Adjust flavors with onions, salt, and vinegar. 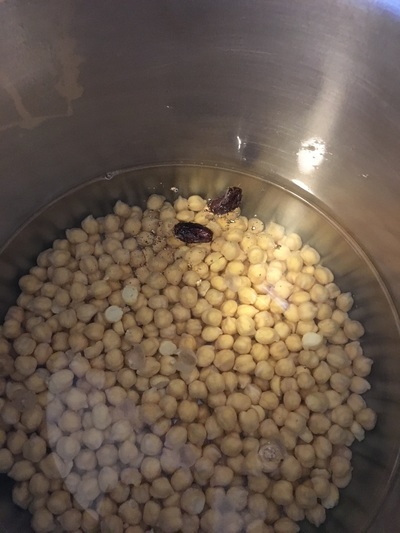 Soak chickpeas overnight in sufficient water (water should stand an inch or two over the chickpeas). Soak at least 8 hours. Cook chickpeas in sufficient water and Tsaoko Cardamom until the chickpeas are soft (about 3 to 4 hours at a simmer). 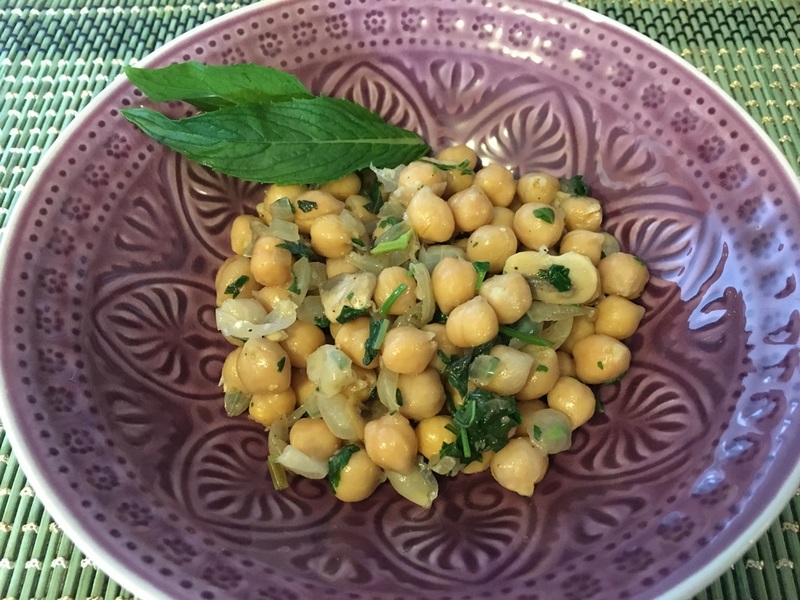 When the chickpeas are cooked, drain them and set aside. Remove all Tsaoko Cardamom. Slice the mushrooms and chop the onion fairly finely. Fry the onion in oil until it begins to turn clear. Then add mushrooms and fry until both onion and mushrooms are soft and slightly caramelized. Turn heat to low and add apricot kernel paste, black pepper, mint leaves and coriander leaves. Fry for 2 to 3 minutes (until the leaves are wilted). Remove from heat. Add rice wine vinegar and salt to onion/mushroom mixture and mix thoroughly. 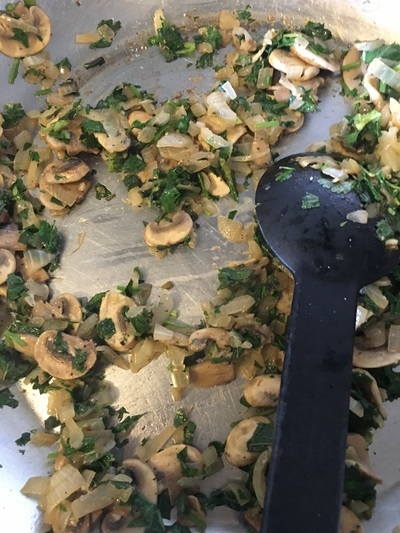 In large bowl, mix onion/mushroom mixture and drained chickpeas. Please note that the authors retain copyright on their original material but that permission to copy and print are granted on the condition that proper credit is given to the authors/editors. Likewise, permission is granted for use of the recipes in this website with proper credit given — in both practical and written works — as long as they are not being sold or profit being made from their use. To reproduce any material contained within jollyduke.com or the original intellectual property within for a profit or sale, permission must be gained from the authors.